California’s criminal justice system has undergone a host of dramatic changes since Gov. Jerry Brown was elected to his third term in 2010 — many of them engineered or supported by Brown, in large part to ease crowding in the state’s prison system. Most recently, he proposed a ballot measure that aims to let thousands of nonviolent offenders qualify earlier for parole if they participate in rehabilitation programs while behind bars. Previously, he pushed realignment, which shifted thousands of offenders from state prisons to local jails. 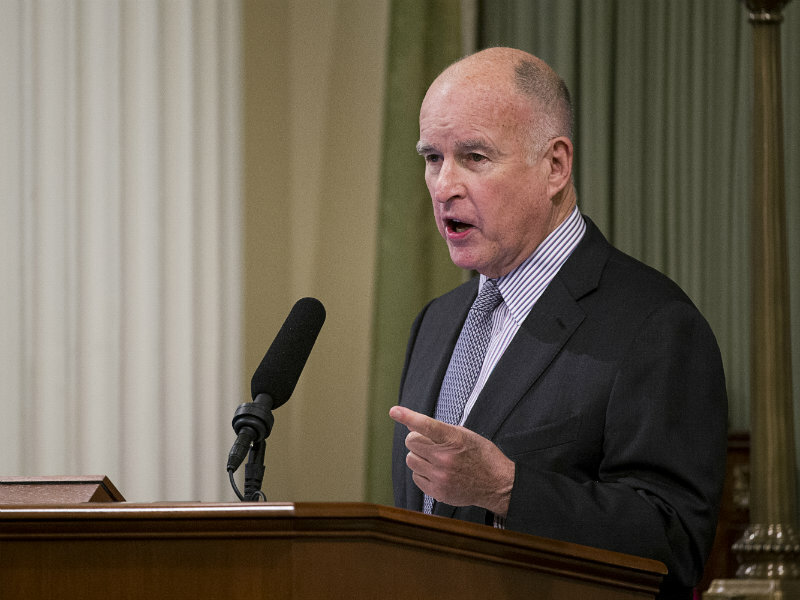 But there’s another part of Brown’s legacy that could have as much or even more of a lasting impact on how California approaches those accused in the criminal justice system, not just how it punishes those already convicted. And it’s one the governor has approached quietly, without fanfare: His judiciary appointments. Since taking office five years ago, Brown has made 309 appointments to the bench. A KQED analysis shows that 26 percent, or 81 of those elevated, have been public defenders at one point in their careers. About 14 percent were district attorneys, and a total of 31 percent had some prosecutorial background. It’s impossible to directly compare that record to prior governors, because the state doesn’t track judges in that manner. But observers said the sizable number of public defender appointments is a big shift from Brown’s predecessors, who largely appointed prosecutors — though they added that it’s not unprecedented, if you look back at the governor’s appointments during his first two terms from 1975 to 1983. It does, however, mark a significant shift from the “tough on crime” trends of the 1990s and early 2000s, which helped pack California’s prisons and jails far beyond capacity, led to a federal court order to reduce the state’s prison population — and has portended a political shift away from harsh sentencing policies and toward rehabilitating offenders. Michael Ogul, president of the California Public Defenders Association, said that while someone’s work experience doesn’t predict everything about how they will approach criminal cases, he believes a more diverse bench will make for a more balanced system. He’s been practicing for 35 years. “Most district attorney judges that I’ve experienced are unable to divorce themselves from their background once they become a judge… They are still trying to help the prosecution, they are still trying to move the case towards conviction or towards a harsher punishment,” he said. “Now, the hope is that the new era of public defender judges will actually be people who are not jaded, who are genuinely open-minded, open to considering the totality of the evidence and trying to understand the background of the individual who appears before them,” Ogul said. In a recent interview with KQED, Brown said he believes diversity extends beyond someone’s race, ethnicity, sexual orientation or gender — it also includes their life and work experience. Brown charged that “using and manipulating the fear of crime has allowed one segment of our society” — law enforcement — to dominate the bench. But prosecutors aren’t the only qualified lawyers, he said. “I have tried to look at the merits really, and I think most people would say the quality of the bench, the judiciary, is definitely very good (when it comes to) the members I have appointed,” he said. Not everyone, however, thinks the change is a good thing. Rushford said it’s too soon to tell what impact Brown’s most recent appointments will have. But he agreed there does seem to be a shift from most of Brown’s predecessors — George Deukmejian, Pete Wilson and Gray Davis — who leaned toward prosecutors. Arnold Schwarzenegger, he said, seemed to appoint more liberal judges in left-leaning counties and conservative judges in right-leaning counties. He said diversity shouldn’t be a factor when appointments are considered. But former Gov. Gray Davis, who was praised for the demographic diversity of his judicial appointments, said the court’s credibility is burnished when its officers reflect the state. Davis said he came into office promising to appoint a more diverse set of judges than his GOP predecessors had — and that judicial appointments are among a governor’s most important and lasting pieces of their legacy. “These judges almost always outlast the governors who appoint them — they can serve 10, 20, 30 years,” he said. Davis served as chief of staff to Brown from 1975 to 1981. While he was significantly closer to law enforcement than his former boss was, Davis said he learned from Brown’s approach to judicial appointments.